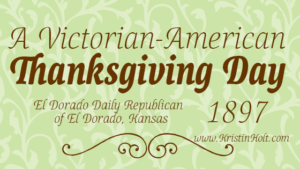 Picture Thanksgiving, 1889: the Victorian-era American family has gathered around the dining room table, and Father, at his place of honor at the head of the table, carves the roasted bird to serve family members and guests. (Who does this anymore?) 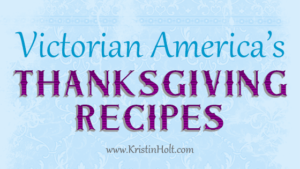 Note the article writes the methods and instructions to the man, referencing “your wife”, or “your helper” who also serves portions of other dishes for guests. 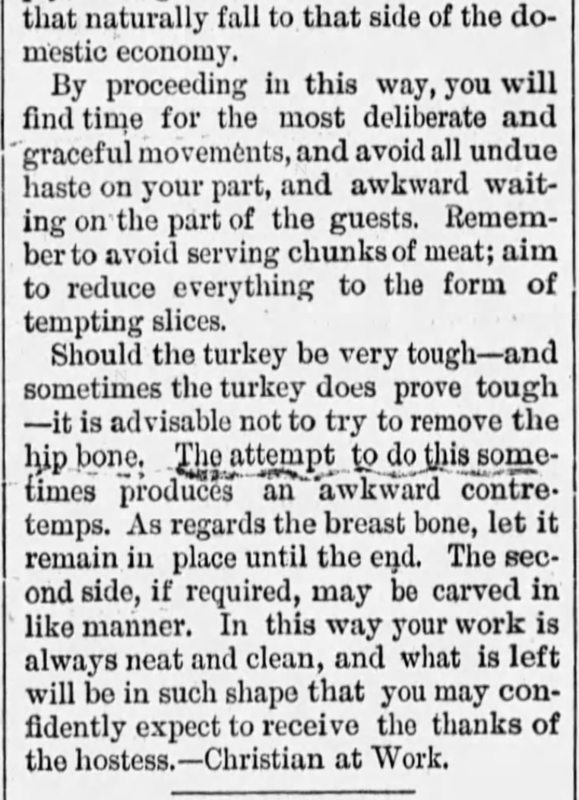 To Carve a Turkey, published in the Vermont Journal of Windsor, Vermont on November 30, 1889, Part 1 of 3. 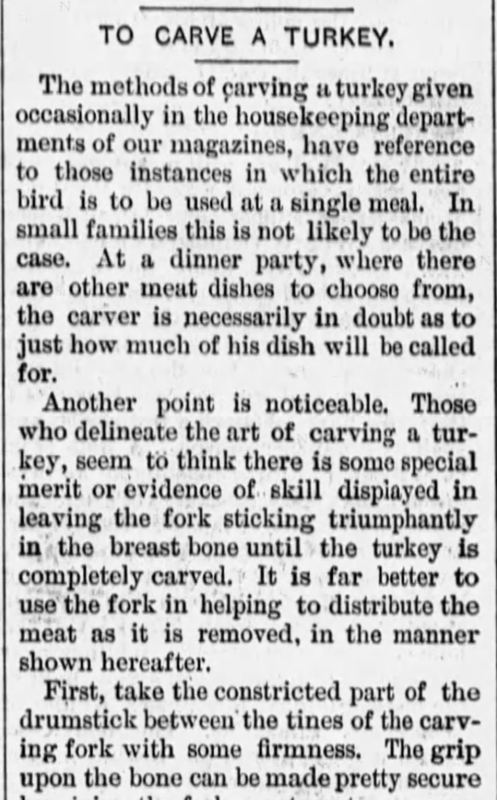 To Carve a Turkey, published in the Vermont Journal of Windsor, Vermont on November 30, 1889, Part 2 of 3. 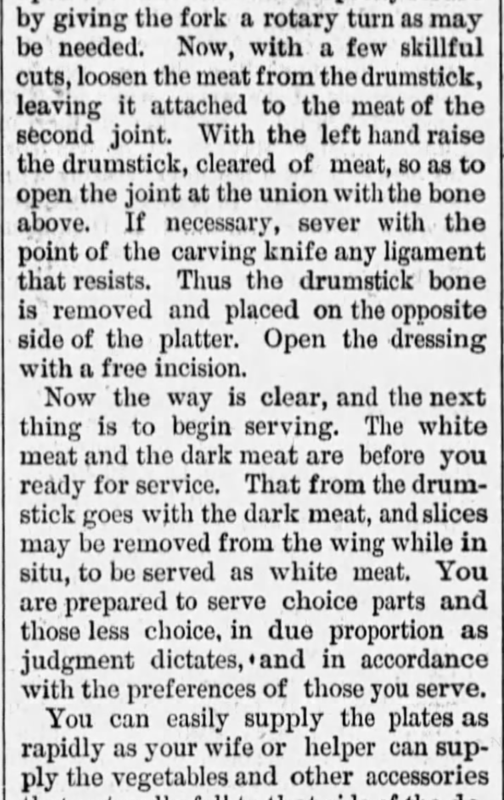 To Carve a Turkey, published in the Vermont Journal of Windsor, Vermont on November 30, 1889, Part 3 of 3. 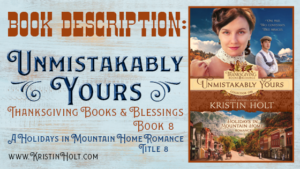 My recent new release, Unmistakably Yours, is part of an 8-book, multi-author. 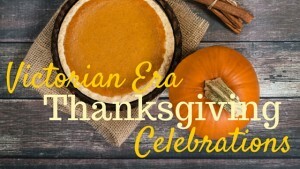 Thanksgiving-focused series (Thanksgiving Books & Blessings), and each title has a Thanksgiving Dinner scene. 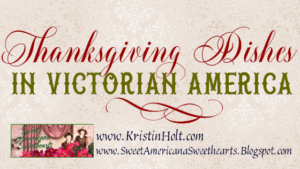 I enjoyed writing that scene, as it ends up at the conclusion of the story when “all is safely gathered in“, and my characters feel the full benefit of hearth, home, family, and love. Note: This title is included in the kindleunlimited library. I find the instructions helpful, 129 years later. At my mother’s well-laid table? She typically roasts a turkey or two earlier in the week, debones the meat, cools, and seals in ziplock plastic bags to be refrigerated in advance of the holiday meal. The day of, she reheats with the reserved drippings in a crock pot. Easy peasy. 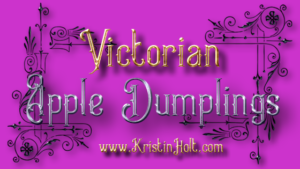 I think her Victorian-era great-grandmother would be appalled. 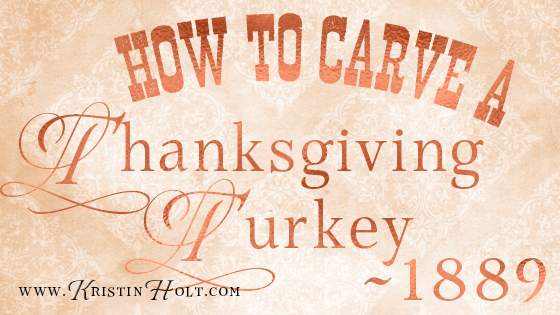 After all, the carving of the turkey was a big deal. 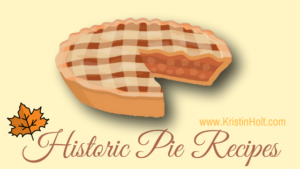 Did you learn anything new from this 1889 article? What are your thoughts? Please scroll down and comment.